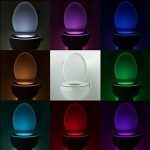 There are a lot of toilets out there that boast luxury and longevity, but which one is really best for you? It can be tough to decide with all of the consumer reviews and competition on the internet today. 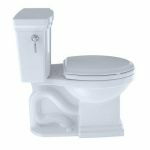 Here you will find all of the information on one of the leading brands in toilets today as well as a few things you will want to keep in mind while deciding to purchase yours. TOTO is a commonly known brand that stands out thanks to their credibility and dependable products. 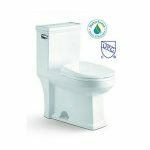 They also focus on water conservation and being environmentally friendly using 1.6 gallons per flush max per industry standard. The great thing about this toilet is that its height is universal, so it’s great for everyone. This elongated bowl offers comfort, its sturdy and it has a powerful tornado flushing action. Debris won’t stick to the bowl, and cleanup is a breeze according to most consumer reviews. There is just not much that one could say bad about this toilet. 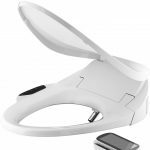 Consumers normally get the Toto SoftClose Elongated Toilet Seat Cover in addition to this toilet. A whopping 96% of reviews for the TOTO Promenade II are four stars or more. There are additional colors on the website available in Cotton, Colonial White, Sedona Beige and Bone White. 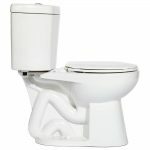 Why Choose the Elongated Toilet Design? 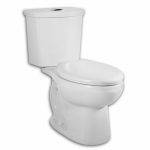 Most of us grew up with the round toilet design, but the elongated design is hitting the scene with a bang. While this is still a relatively new idea, it’s really growing in popularity. The elongated design is ADA approved making life a lot more convenient for you or guests who may need it. Overall the elongated design offers far more comfort than the round design. Let’s talk flush and water usage. 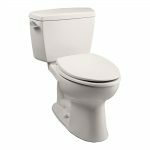 When it comes to flushing, this is an area many do not want to compromise. 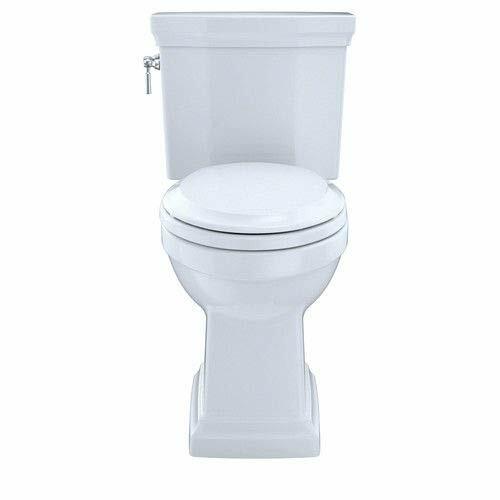 A powerful flush matter to cleanliness and water conservation. 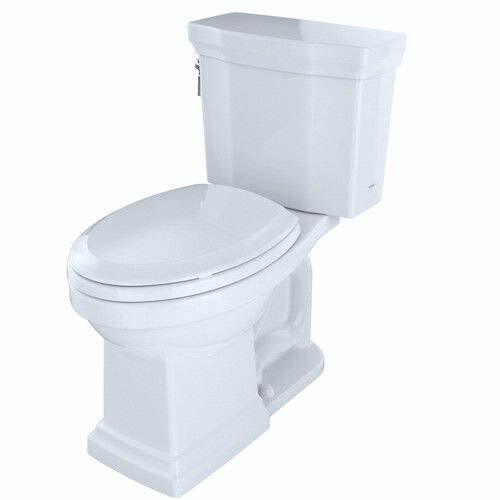 After all, if you have to flush twice, the purpose of a low-flush toilet becomes obsolete. Did you know that the average home uses up to 1000 gallons of water every day? 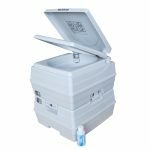 TOTO toilets feature a tornado flushing system that gets the job done. Only 1.28 gallons of water is used per flush, and it is powerful enough to maintain cleanliness without having to reflush your bowl. Before industry standard people were using up to 3 to 4 gallons each time they flushed. With this water-conserving option, you are not only helping the environment, but you are helping reduce your water bills. No worries, the design still allows for maximum cleaning without having to use all that water thanks to the innovative strategies TOTO implements into the integrity and makeup of their products and design. This is especially true when dealing with third-party sellers. You can gain information by contacting the seller directly or on the manufacturer’s website. This model has a one-year limited manufacturer’s warranty. It is advisable to get the protection plan in addition to the warranty. They are available when you purchase from Amazon online. They can be purchased to cover the toilet for up to three years. 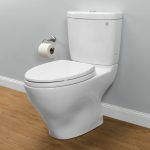 The TOTO Promenade Elongated 2-piece toilet offers clear to understand warranty information, and TOTO will never give you the run around when it comes to honoring the agreement. With an everchanging market and all of the designs to choose from dealing with a name you can trust is essential. TOTO offers you everything you are looking for with competitive pricing and dependable products. Even with the third-party sellers, TOTO is an industry leader offering style and efficiency without wasting a lot of water. The unique design in more hygienic and customer service is always exceptional. 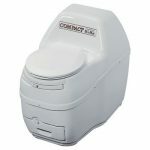 To top it off, you are getting an eco-friendly toilet that will last for years to come from a brand that you can trust. TOTO is a great option hands down when it comes to the durability and longevity of their product.